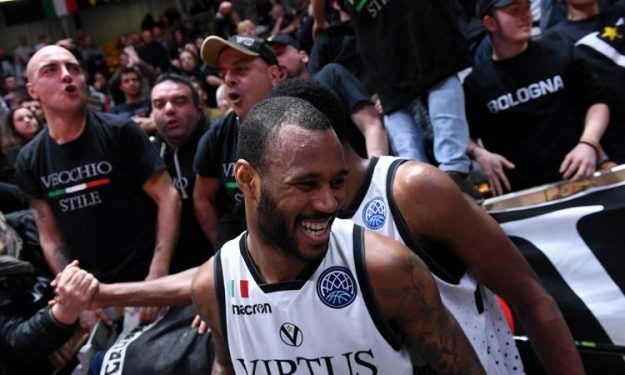 Segafredo Virtus Bologna finished their first ever Basketball Champions League regular season with a 10-4 record and at the top of Group D. With the playoff draw concluded, their opponent in the Round of 16 is known and it is Le Mans, the fourth-placed team of Group A. One of the players who helped them in achieving that has been Amath M’Baye, especially in the last regular season game against Promitheas Patras. 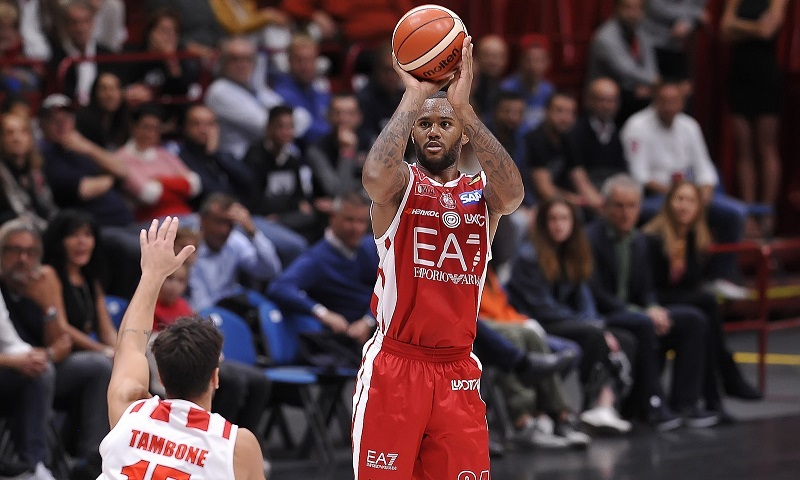 The 29-year-old French forward notched a double-double with 20 points and ten rebounds pushing Bologna to an overtime win, the first place in the group. He was also named the Gameday 14 MVP with an efficiency rating of 27. M’Baye was born in Bordeaux but also spent a part of his childhood in Senegal. Although both his parents were basketball players, Amath wasn’t set on taking the same path early on. He preferred surfing and the beach while growing up in Senegal. However, he was “too tall to be a surfer” and once he decided on trying out different things, basketball came out as the top choice. Although M’Baye knew he could play basketball professionally, he didn’t want to rush it and believed he should also get a degree. He decided to attend college in the USA and joined Wyoming University for two years. He averaged 12 points and 5.7 rebounds before transferring to the Oklahoma Sooners. There he had to pause one year due to NCAA regulations and finished his senior year with 10.1 points and 5.1 rebounds per game. M’Baye’s first professional contract sent him to Japan where he signed with Mitsubishi Diamond Dolphins for three seasons (2013-2016). He finally got some freedom to show his potential and during the next three years, he averaged 20.2 points, 7.7 rebounds and 2.5 assists. In his second season, he won the MVP award at the Japan All-Star Game and was in the best quintet of the league. His next stop was Italy, where he stayed ever since. His first team there was Brindisi with which he averaged 17.8 points and won the Italian Super Cup, the first trophy in his career. M’Baye quickly caught the eye of basketball powerhouses and Olimpia Milano made the move. He joined the ‘Red Shoes’ for a season and gained important EuroLeague experience averaging 6.1 points and two boards in 30 games. The French forward also added another trophy to his portfolio as Milano won the Italian League.